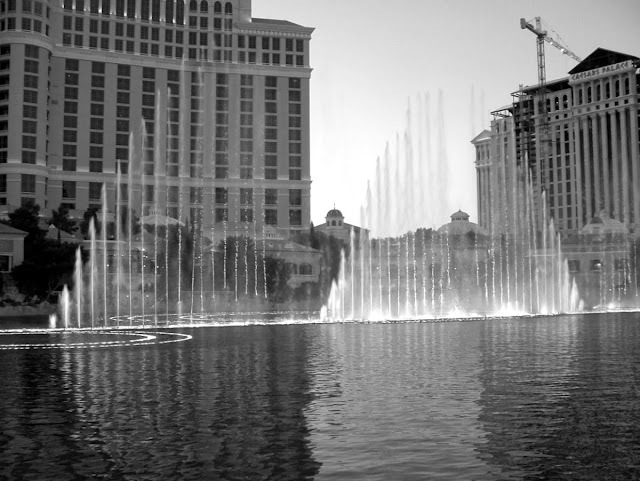 The fountains at the Belagio Hotel in December of 2004, Las Vegas, Nevada. Oh, that's a great reflection for the day!! I really like it!! Hope you have a great weekend!! Beautiful! Love the light on the fountain. Love the picture but LV is somewhere I've never had a yen to visit. Too commercial for my taste. (I think) - what do I know, I've never been? Very nice image. We were in Vegas in 2003, 2005, and 2011. It is an ever changing venue. In 2003 the Belagio was a real stand-out along the strip. Now, it's just another huge hotel among many. We've probably been to Vegas for the last time. I really don't see us going back again.